Saint Petersburg is Russia’s second-largest city and an important port. Situated on the banks of the Nera River at the edge of the Gulf of Finland and the Baltic Sea, Saint Petersburg was founded by Tsar Peter the Great in the early-18th century and till this day, remains the cultural centre of Russia and home to some of the country’s most famous historic monuments, such as the Hermitage Museum, one of the largest art museums in the world. The historic centre was declared a UNESCO World Heritage site in 1991 in recognition of its rich cultural and architectural legacy, a striking blend of Baroque and neo-Classical styles. 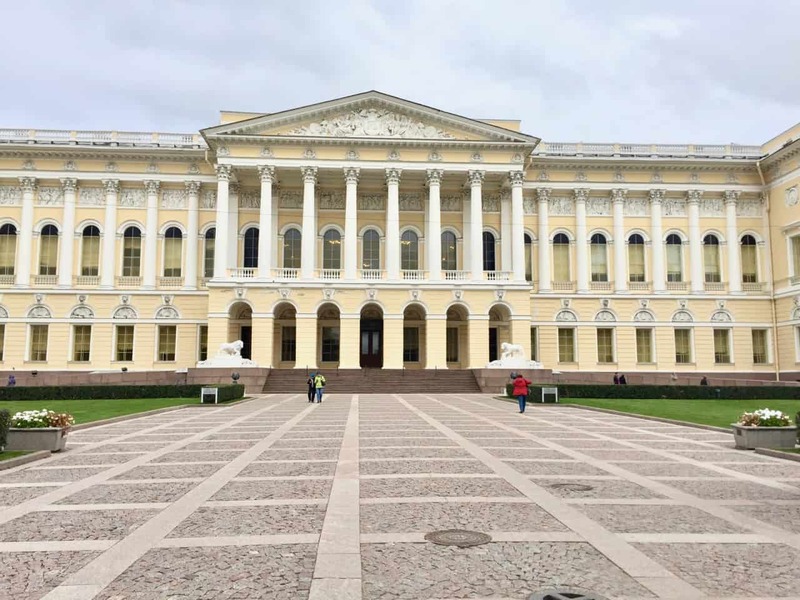 I had the opportunity to visit Saint Petersburg to attend an awards event, and though it was a short stay (just one night), I managed to spend half a day strolling around the city before leaving for home. Around the corner from the Russian Museum is one of the city’s icons: the Savior on the Spilled Blood Church. I soon arrived at thePalace Embankment which fronts the Nera River. On the other side is the Peter & Paul Fortress on Zayachy Island. 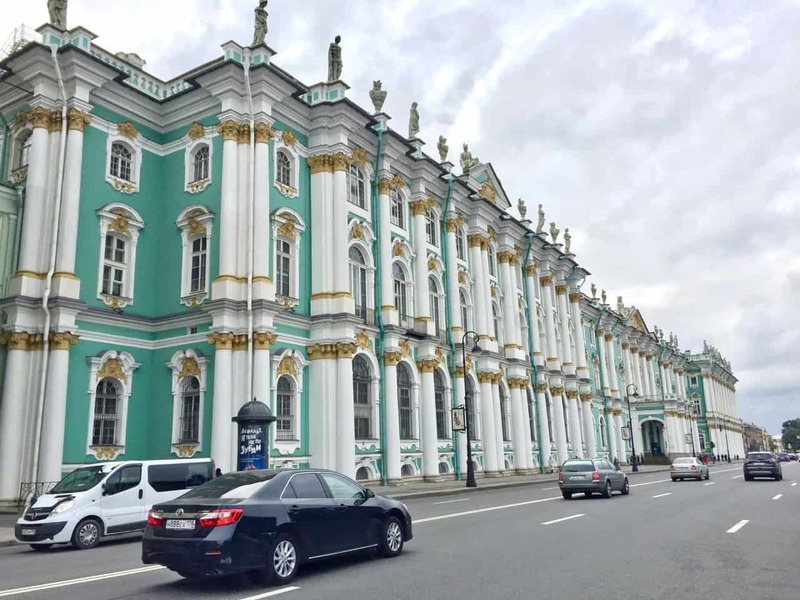 I continued along the Palace Embankment to the Hermitage Museum. 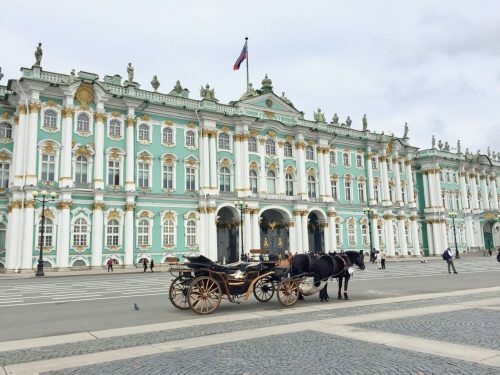 I didn’t have time to visit the Hermitage Museum but its exterior was sufficient for a jaw-dropping moment! 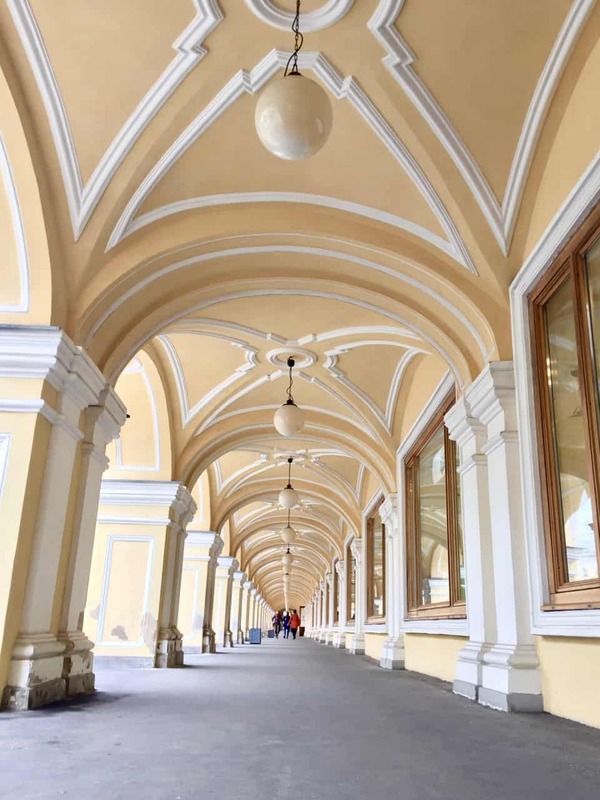 From the Hermitage, I continued under the Arch of the General Staff. And completely fell in love with this gorgeous building, which houses a chic department store. As I strolled around, one of the first things I noticed were the suspended power cables over the streets. They’re everywhere! I soon arrived at the Admiralty, the stately HQ of the Russian Navy. 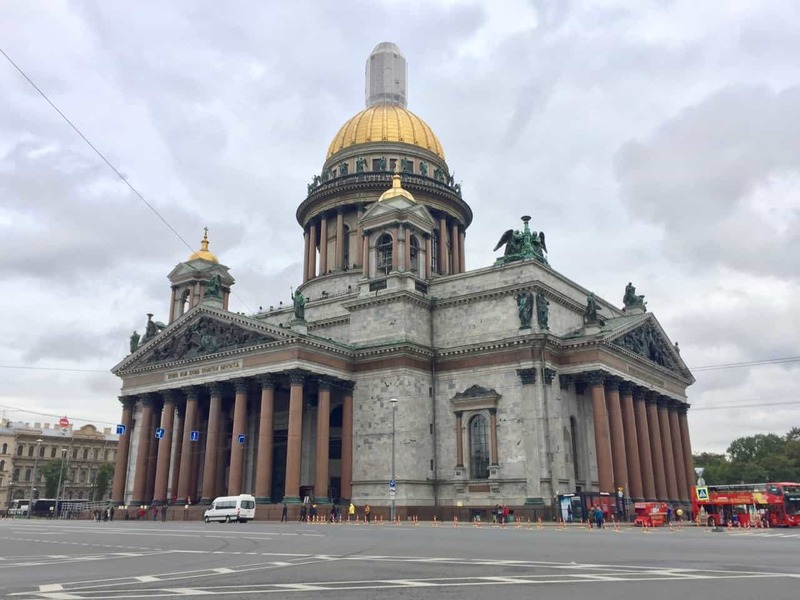 I continued along the Admiralty park and soon reached the impressive Russian Orthodox St. Isaac’s Cathedral. On my way back to the hotel, I walked along this beautiful arcade which encloses a shopping mall. I didn’t get to see all that I wanted to see – I think I would need at least a few days for that – but I absolutely loved what I saw. Saint Petersburg is certainly one of the grandest European cities I’ve visited and the historic monuments are absolutely breathtaking. I can only imagine how impressive they are on the inside! This is surely a city to add to your bucket list. cars actually stop for pedestrians at zebra-crossings! Haha! coffee lovers won’t need to fret – the coffee culture is very much alive in Saint Petersburg! Thank, Keith! Thank you for such wonderful words about my city! My city is my soul. Thanks for your comment! Gosh, seeing the opening of the bridges must’ve been spectacular! I LOVED St Petersburg and would love to return. I visited during the opening of the bridges (mid May), after the winter ice keeps them closed to river traffic – its a fabulous thing to see, such a celebration and a great camaraderie in the city.